Rosenthal: Is this it? Are Mariners really done making moves? 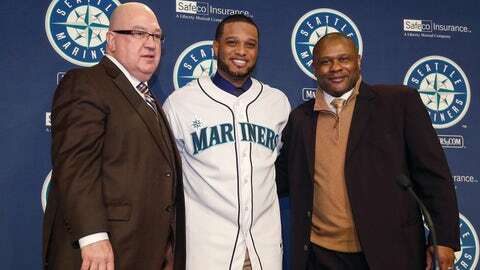 Mariners GM Jack Zduriencik (left) needs more than just Robinson Cano to turn the team's fortunes around. The question was appropriate the day the Mariners signed Robinson Cano, and it is even more appropriate less than two weeks after the M’s fired the $240 million shot heard ’round the baseball world. 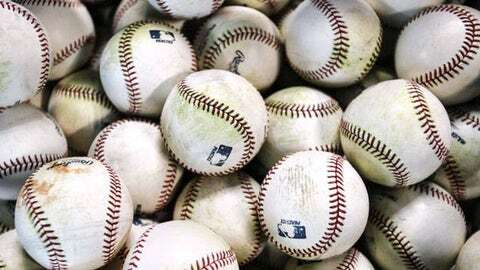 Perhaps that player is left-hander David Price, whom the Mariners continue to discuss in trade conversations with the Rays, according to major-league sources. Perhaps that player is free-agent outfielder Nelson Cruz, who would be a more realistic choice than first baseman/outfielder Corey Hart to serve as the right-handed complement to Cano. Whatever, it had better be somebody. Actually, it had better be more than one somebody, seeing as how the Mariners need another starting pitcher, additional offensive help and arguably a closer, too. If the Mariners are done spending — if they truly are drawing the line after adding Cano and three lesser, oft-injured hitters — then the only thing that can be said about their plan is that there was no plan at all. It's time the fans had a say. 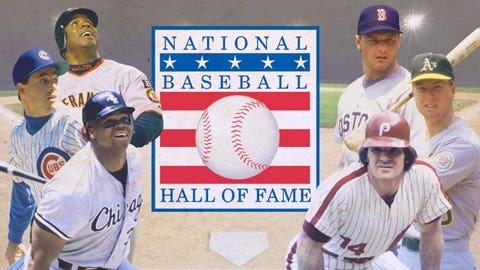 PEDs or no PEDs, tell us who you think belongs in the Hall. And yeah, Pete Rose is on our list. Vote now. Once the Mariners signed Cano, they were all-in – or, at least, they should have been. The move, it appeared, was an attempt to regain credibility, rekindle a dormant, disgruntled fan base. But Cano, 31, cannot do all of that alone. Nor can he do it in mere combination with Hart, first baseman/outfielder Logan Morrison and outfielder Franklin Gutierrez (free-agent infielder Willie Bloomquist joined the team earlier in the off-season). Yet, when I asked Mariners general manager Jack Zduriencik about his team’s budget Thursday morning on MLB Network’s "Hot Stove," he said that the team indeed might be finished making major moves. "We’re at a point where I think we are trying to do a few more things," Zduriencik said. "I’m not sure that anything is going to be a huge splash. We have some options out there that we can either make a trade or could add another piece to it. I think that if we go for another large deal, that obviously is going to have to go above my head. And at this moment we are where we are, and we’re trying to make things work with what we have." Granted, the offense should improve from poor to respectable if Hart and Morrison stay healthy. Combine that with right-handers Felix Hernandez and Hisashi Iwakuma at the top of the rotation, and the team overall should be more competitive. Still, the Mariners need to keep going. Otherwise, they will risk wasting the early years of Cano’s contract, which coincide with the final years of his prime. Otherwise, they will turn into this year’s botched big-money experiment, the 2012 Marlins or ’13 Blue Jays, only with arguably less talent. Maybe the Mariners are simply engaging in classic offseason misdirection, plotting another series of dramatic moves. If so, more power to them. If not, they will face a series of questions, none of them pleasant. Do the Mariners believe that Cano can almost single-handedly help the team’s young hitters improve? Do they think that their sophisticated fan base will be tricked into believing that this group of players will suddenly contend? That illusion should be shattered by the end of April, in a division that includes the Athletics, Rangers and Angels, all of whom could be significantly improved by Opening Day. Again: What are the M’s doing? What is the plan? And how will general manager Jack Zduriencik survive if the Mariners’ 2014 season disintegrates into another mess? Zduriencik — the architect of four straight losing seasons and subject of a recent Seattle Times article in which former employees lambasted him on the record — soon will answer to a new club president. That is not what happened. And if Zduriencik assented, thinking that the addition of Cano would be perhaps enough to save his job, then he was sadly mistaken. Another disappointing season, and he will be gone. In any case, the truth soon will be known. Whether the Mariners have reached their spending limit or whether they have not. Whether they intend for Cano to be the centerpiece of a renaissance or an expensive bauble along with King Felix. Less than two weeks into The Cano Era, the clock already is ticking. You take that first step, there is no turning back.